"A story done in a way that only Beverly Jenkins can do. Simply superb!" "[A] heartwarming story of love, community, and family....Bring on the Blessings is a tasty reading confection that you'll savor long after the story ends." 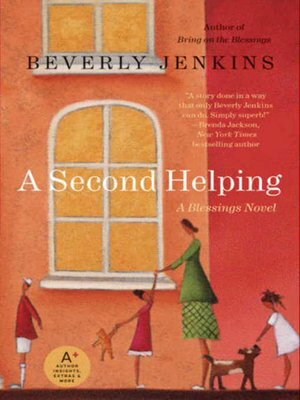 Beverly Jenkins, the bestselling author of Bring on the Blessings, returns readers to the enchanting Kansas town of Henry Adams for A Second Helping of love, laughter, and mayhem. Filling her poignant and wonderful tale with a cast of endearingly eccentric characters—and setting it against the rich historical backdrop that has become her trademark—Jenkins ("A superstar" —Detroit Free Press) delights from page one. Kimberla Lawson Roby fans take note: A Second Helping is supremely satisfying fare...and you'll definitely be ready for thirds!